Singaporean James Chew was a town planner for 35 years before he arrived in Viet Nam back in 2005. Having been a professional hockey player in Singapore, he and like-minded expats decided to start promoting the sport across the country, and thanks to their efforts Viet Nam has made significant progress. Thanh Nga talks to him. 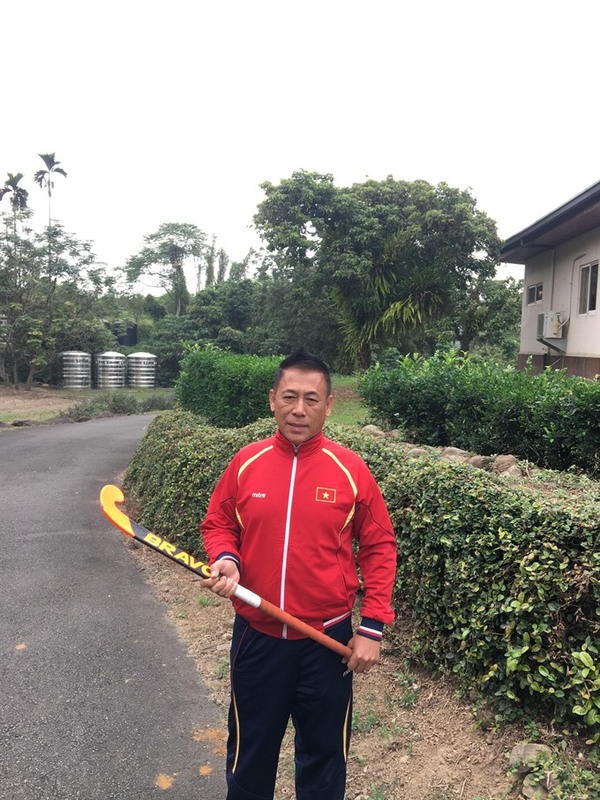 Inner Sanctum: As manager of the Viet Nam national hockey squad and CEO of the Viet Nam Hockey Federation (VHF), you are leading the Viet Nam team at the ongoing Nantou International Men’s Hockey Tournament in Chinese Taipei. How do you evaluate the Vietnamese team and their rivals? In any evaluation, we have to compare light with light. Firstly, we have to take into account when each nation started playing hockey. Viet Nam started international hockey in 2013. Secondly, we have to consider the hockey infrastructure (the number of hockey pitches, hockey academies and hockey competions), and thirdly the number of hockey players and coaches in each country. The number of players is important because the bigger the pool the more talented players you can recruit for the national team. If you take these three factors into account, Viet Nam is severely handicapped against our rivals at the tournament. If hockey has a handicap system like golf, I would say Viet Nam hasn’t faired so badly. Inner Sanctum: Will Viet Nam compete at any other events? There are three International Hockey Federation (FIH) events next year: the Hockey World League in Singapore, the Asia Cup (Indoor Hockey) in Bangkok and the 30th Southeast Asian Games (SEA) Games in Manila. There is also the Oceania Tournament in Australia which is an invitational and the 2nd Nantou Hockey Tournament which Viet Nam can take part in. 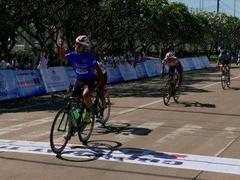 Whether Viet Nam will compete or not depends on whether we can secure sponsorship for the team. Inner Sanctum: Thanks to your efforts, hockey has been played in Viet Nam for over 12 years now and has made great advances. Can you sum up the results? To sum up, hockey development in Viet Nam has been phenomenal given the challenges it has faced over the 12 years. We set up the Viet Nam Men National Hockey Team in just six years with limited resources. We’ve participated in two Southeast Asian (SEA) Games and One World League Tournament. Viet Nam became a member of the International Hockey Federation in November 2014 and we now have 1,000 hockey players in the country. 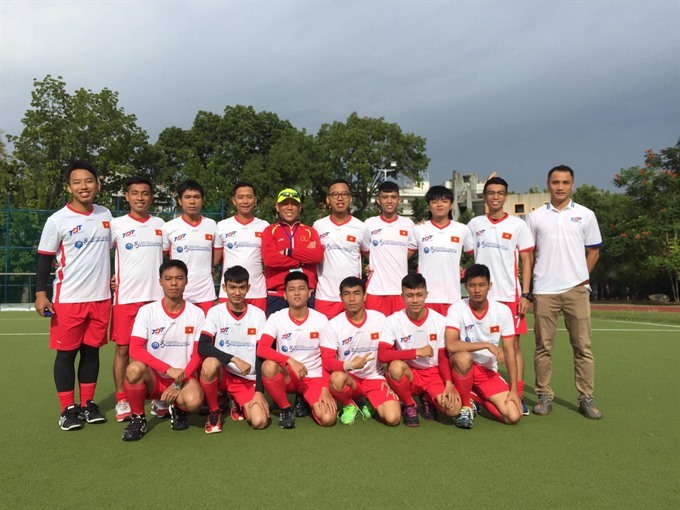 Inner Sanctum: Viet Nam has a men’s hockey team to compete in international tournaments including the Southeast Asian Games. Do you intend to establish a national women’s hockey team? Work is in progress to start a national women’s hockey team. We would focus on indoor hockey first for the women’s team. Inner Sanctum: Of all the achievements you have made, which one stands out? It has to be helping Viet Nam to participate at it’s first ever international hockey tournament (at the SEA Games in Myanmar in 2013). Inner Sanctum: Have you encountered many difficulties and challenges during your time developing hockey in Viet Nam? Much success has been achieved in creating awareness of hockey in Viet Nam, but getting funding to develop the sport is still the main challenge. Whilst Vietnamese universities are already playing hockey, we are still trying to introduce it in schools. We need to do this to develop the sport. Inner Sanctum: Using your own private funds, you built the Viet Nam Hockey Centre in Long An Province in June 2013. However, there are still only a few hockey events in the country because many people don’t know about the sport. How do you use the centre effectively? The Viet Nam Hockey Centre is waiting for more players and events, so we allow the centre to be used for football, touch rugby and other sports. So to answer your question, we use the centre as a multi-sports venue so it can be utilised effectively. It is a challenge keeping the centre going. Inner Sanctum: What’s your next plan to develop hockey in the country? The plan has always been to spread hockey to the other major cities and large towns in Viet Nam. Hockey is now being played in HCM City and Da Nang, and has also been introduced to Ha Noi. On the international stage, the plan is to win a medal at the SEA Games which would help promote the sport. At the next SEA Games, we hope to send both men’s and women’s hockey teams to Manila. Inner Sanctum: What are your personal ambitions? I can do much more to develop hockey in Viet Nam. As I have used up most of my own money, I hope to find a sponsor that can cover my own salary so I can give up my job at Nagecco and focus on hockey full time. After 12 years I can see the potential of the country becoming a strong hockey nation because Vietnamese are sport-minded and the country has a large population. Within the next five years, Viet Nam’s men’s team could be in the top 20, and the women could go top 15. Many of my hockey friends in other countries like powerhouse Malaysia are in awe of Viet Nam’s potential. Just like football, Viet Nam has the potential to be the top hockey nation in SE Asia. I have seen two players at Bac Ninh Sports University who picked up hockey so quickly they looked like seasoned pros in just a few days. To build a strong national team we need to find more players like them throughout Viet Nam. Lee Kuan Yew, Singapore’s first Prime Minister, said you need five million people to find a genius, so in Viet Nam with nearly 100 million, you have 20 genius hockey players which is enough for a national squad. Inner Sanctum: How much money do you need from a sponsor for you to focus on developing hockey? I am looking for VND100 million (US$4,350) a month less than my actual salary. Inner Sanctum: Can you tell me a little bit about your former and present jobs? By profession, I am a town planner. I helped plan Singapore working for the Singapore Government between 1990 and 1998, and came to Viet Nam in 2005 to plan Phu Yen Province. I stayed in Viet Nam after the project and worked for VinaCapital, then BRG Group and VinGroup. Currently, I am with Nagecco as their Director of Business Development and advisor of master planning and design work. 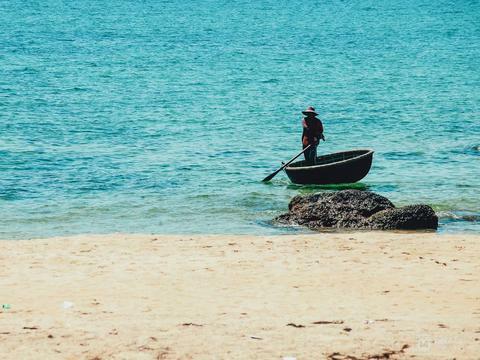 Inner Sanctum: Why did you choose to live and work in Viet Nam?